You may or may not have heard of Monsanto before, so let’s start with a brief history on the company. Monsanto is a publically traded company, founded in 1901, that is the leading producer of herbicides, pesticides and crop seeds. They have pioneered bringing a massive supply of Genetically Engineered (GE) seeds, as well as an herbicide called glyphosate that they market as Roundup. Monsanto had a 7% increase of annual Net Sales last year to the sum of $15.8 billion. Their stated goals for introducing GE and GMO crops are to yield more nutritional crops, conserve natural resources, help farmers and end the world’s hunger problem. Genetic modification is the process of forcing genes from one species into another unrelated species that would never happen naturally. In fact, it has to be forcefully done in one of three ways, which are shown in this short video. The injected genes come from bacteria, viruses, insects, animals and sometimes humans. For example, goats injected with spider genes to produce milk with stronger proteins, or strawberries and tomatoes injected with fish genes to protect the fruits from freezing. Many people are wondering why our food is being made and modified by a chemical company that is the world’s largest pesticide manufacturer, which is a great question. The bottom line answer is: PROFIT. According to the Center For Food Safety, Monsanto has already been able to gain massive control of the food market. In fact, up to 85% of corn, 91% of soy and 88% of cotton (cottonseed oil is used in most processed foods) today are GMO. It is estimated that 75% of items found on grocery store shelves are genetically modified. That is a scary fact given the white elephant in the room, that modern diseases such as autism, autoimmune disorders, cancer and many behavioral disorders, are skyrocketing due to the consumption of GE and GMO foods. Scientists and doctors know that the spike in human body malfunctions has to be environmental in nature due to the high growth we’ve seen over the past decade. Glyphosate is now found in urine, blood, water and breast milk throughout the world. Monsanto charges high costs for Roundup ready seeds, which are also known as “terminator seeds” because farmers need to repurchase the new strand each year (versus being able to reuse seeds, which farmers have done for hundreds of years). Misleading farmers about the safety and “benefits” of GMO foods without doing proper testing. In fact, in 1996, New York’s attorney general sued Monsanto due to their claims calling Roundup “biodegradable”, “safer than table salt”, “practically nontoxic” and that it “stayed where you put it.” The lawsuit ended with Monsanto agreeing to stop making those false claims, but it’s clear that those consequences didn’t even faze them. Monsanto also used misleading tactics to get farmers to use their seeds and sign complex agreements many of them didn’t understand or have the means to have high-powered corporate attorneys to review. One example of how this sadly impacted a family farm in North Dakota is the Nelson vs. Monsanto case. It has taken time for farmers to discover the truth for themselves, but they have started to see clearly that their crops are healthier without the Roundup ready seeds, their profit margins are better and they aren’t contributing to a toxic food supply. Another issue is that even if farmers don’t want the Roundup ready seeds, they often are blown onto their property from a nearby farm or carried by birds. There are many examples of Monsanto coming after farmers and demanding payment for seeds they didn’t want that ended up getting mixed in with their crops. Unethical business practices are not only kept in the realm of small farmers for Monsanto, they are also attempting to buy out all other seed companies so they can have complete control. This Vanity Fair article covers many examples of their less than stellar business practices, including their staple weapons of threats, bribery and lawsuits to get whatever they want. 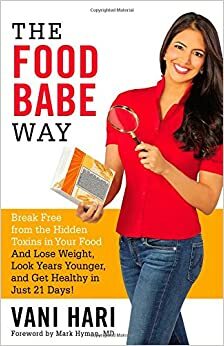 According to food activist, Vani Hari in her new book, The Food Babe Way, Monsanto has spent over $24 million in paying off government agencies and lobbying against GMO labeling. Hari has courageously exposed Monsanto and the health concerns of GMO foods and has been thanked by getting almost daily death threats – If that’s not bullying, I don’t know what is. Yet her message has been heard and received. Oprah Magazine recently dropped Monsanto’s ads and Starbucks is feeling a lot of pressure to drop Monsanto products too after her public campaign urged them to use organic milk. Superweeds are now becoming Roundup resistant, so that more and more glyphosate needs to be dumped on the crops we eat. Remember, Roundup ready seeds don’t die no matter how much glyphosate is used – the plants just soak it up. The protective gear that must be worn when handling glyphosate, yet the company deems it’s safe for us to consume daily in our food. Realistically, there are not enough studies that have been done on the long-term impact of GE and GMO foods in humans. The studies that have been conducted on rats show cancerous tumors, showing up in the 4th month of being on a GMO diet. Monsanto has conducted one 90-day study – maybe because they knew the problems started showing up in the fourth month? You decide. The independent studies to date have been performed on animals and all show consistent GMO toxicity leading to infertility, birth defects, premature aging, organ damage (particularly in the gastrointestinal system), cancerous tumors and immune dysfunction. You can read about some of these studies here. It is important to note that GMO products are significantly restricted or outright banned in more than 60 countries. Talk to your friends and family, repost this blog and bring awareness to this important topic. With knowledge comes responsibility. It’s estimated that if we don’t clean up GMOs in our food and water supply, as many as 50% of newborn children will be autistic by 2050. Vote with your dollar! When companies see feedback from consumers that show up on their bottom line reflecting a loss in gross sales, they pivot their business strategy. They will always find another way to win customers back. In fact, consumer-savvy Target Corp. launched a Made to Matter campaign and is nearly doubling the number of brands and products in the organic/non-GMO and sustainable arena because they understand where customer demand is headed. Ask for GMO testing by signing campaigns and vote YES on upcoming bills to label GMO foods. Our future depends on it.